What is the ASA Citation Style? The ASA format is a citation style that has been widely adopted by the community of writers, researchers, publishers, and students who contribute scholarly papers to the field of sociology. It is used by sociologists to credit other people’s words, ideas and theories utilized in their written work in a systematic and consistent manner. In short, an ASA in-text citation is used to draw the reader’s attention to where you have quoted or paraphrased a source within the text. The citation includes the name of the author, publication date of the source and, where needed, the page numbers, for example: (Woolf, 2007). Subsequent references to the same source are still listed parenthetically by author and year. Each in-text citation must link to a reference list entry, and its purpose is to direct your reader there. Your reference list is an alphabetized list of fully-formatted citations, which will provide all of the information needed for your reader to locate the original source. The emphasis on dates is carried over to the reference list, where the publication date is the first piece of information after the author’s name. The format has many similarities to both the APA (American Psychological Association) style and the Chicago citation style; both in appearance and function. However, there are some key differences so it is essential that you follow the ASA Style Guide. The guide was primarily designed by the American Sociological Association to assist authors submitting articles to their journals, but it is now used by those preparing theses, dissertations, and other research papers. The style is supported by Cite This For Me’s citation management tool; making the ASA formatting of your in-text citations and reference list a straightforward task. Here at Cite This For Me we are committed to educating students in excellent citing practice. This style guide has been written to support anyone who is using the ASA style to cite their essay, research paper, or journal article. It provides clear, useful guidance that covers in-text citations, the reference list, manuscript formatting, and much more. Referring to this style sheet will ensure you achieve consistency across your work, taking you one step further to getting the result that you deserve after all your hard work. Looking for a citation tool to save you time? Our open-access citation generator does just that, leaving you more time to spend on actually writing your paper. 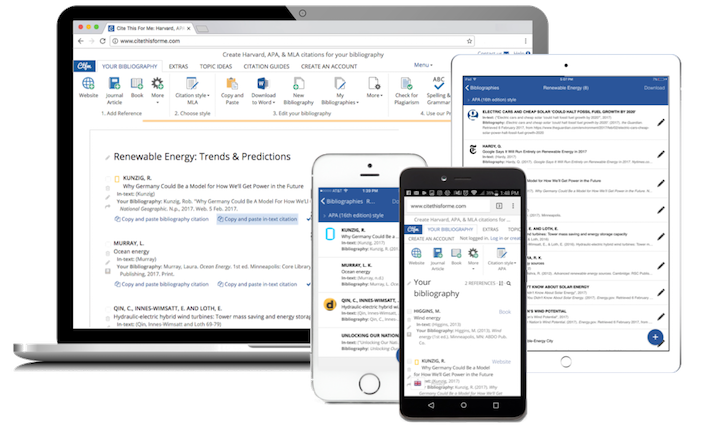 You can format ASA citations quickly, simply and smartly in the version of the style recognized by your institution using our multi-platform tool. Do you need to cite a research paper using MLA formatting? Or has your professor asked you to use the APA citation format? You may be looking to instantly cite in the Chicago citation style, or just need to read up on how to create IEEE or AMA citation. There are thousands of referencing styles in use today, and the one that you need will depend on your discipline, college, professor, or the publication you are writing for. Whichever style you need, visit Cite This For Me's website to select from thousands of widely used global college styles, including college variations of each. Simply sign up to Cite This For Me for free, log-in to your account, and set your institution in ‘My Profile’. Check with your institution to find out which they want and make sure you follow their requirements exactly, as it’s what you’ll be marked on. Continue reading this guide for practical advice and examples that will help you create each citation with ease. For more information on the mechanics of the style, in-depth guidance on the required writing style and further examples, we encourage you to refer to the complete ASA Style Guide (5th Edition). How do I Create and Format an In-text Citation? The ASA citation format follows the author-date system adopted by The Chicago Manual of Style: a brief in-text citation is inserted wherever a source is cited, and a complete list of references is included at the end of the paper. The use of in-text citations enables you to integrate source material into your work with ease, allowing you to effectively link your own ideas with those of other authors without interrupting the flow of your paper. Remember that in-text citations are included in your final word count. Each in-text citation encloses the author’s last name and the year the source was published in parentheses, and is generally placed at the end of the sentence - or as close to the source as possible - between the last word and the period. Read more about creating your in-text citations on this quick tips style sheet. It is essential that you cite each reference to another publication completely and accurately within the body of your work in order to avoid plagiarism. ...Welch contends that this is not the case (1991). ...but it has been argued that this was not the case (Welch 1991). A recent study confirmed her belief (Johnson and Smith 1995:34). *The Latin phrase ‘et al.’ translates as ‘and others’; it is widely adopted by different citation styles in order to abbreviate long lists of author names within in-text citations. The term should never be used in a reference list, and should not be italicized. This was not accurate according to a recent study (Johnson et al. 2003). Some studies have refuted these arguments (Benson 1993; Nguyen 1999; Brown and Goggans 2000). … affected the aged (Omran  2005). … (NA, RG 381, Box 780, April 28, 1965; Meany Archives, LRF, Box 6, March 18, 1970). If you are citing an e-resource it will generally follow the preceding guidelines, but you can find specific information in this guide’s section on: ‘Guidelines and Examples for Citing Electronic Resources’. Running out of time before a deadline? Creating each in-text citation by hand can be time-consuming. Don’t forget, Cite This For Me's intuitive ASA citation machine will automate the citing process for you. As well as inserting in-text citations within the main body of your work, you will need to provide a comprehensive reference list that details exactly which sources you have drawn upon in your research and writing process. Ultimately, a full and accurate reference list is essential because it allows your reader to easily locate and verify the source material you have used. Each parenthetical citation in the text must have a corresponding reference list entry, and vice versa. Remember to double-check that none of your citations are missing from your reference list. Hoge, Dean R. 1979. "A Test of Theories of Denominational Growth and Decline." Pp. 179-197 in Understanding Church Growth and Decline 1950-1978, edited by D. R. Hoge and D. A. Roozen. New York and Philadelphia: Pilgrim Press. Hoge, Dean R., Benton Johnson, and Donald A. Luidens. 1994. Vanishing Boundaries: The Religion of Mainline Baby Boomers. Louisville, KY: Westminster John Knox Press. Horwitz, Allan V. 2002a. Creating Mental Illness. Chicago: University of Chicago Press. Horwitz, Allan V. 2002b. “The Measurement of Mental Health Outcomes: Where Have We Been and Where Are We Going?” Journal of Health and Social Behavior 43(2):143-51. Include the state abbreviation only if city of publication is not clear. For example, New York, Chicago, and Los Angeles do not need a state abbreviation. However, Cambridge should be followed by an appropriate state abbreviation or country name. Depending on the nature of your work, and the preference of your tutor or publication to whom you are submitting your work, you may need to include a bibliography as well as a reference list. For instance, if you are preparing a book-length manuscript it will add value to include a list of every relevant source you consulted whilst researching your topic. Author’s full name (inverted so that last name appears first). Year of publication. Name of Publication (italicized). Location of publisher, state, or province postal code (or name of country if a foreign publisher): Publisher’s Name. King, Mary E. 2007. A Quiet Revolution: The First Palestinian Intifada and Nonviolent Resistance. New York: Nation Books. Book with two or more authors. Author1 (last name inverted), Author2 (including full surname, last name is not inverted), and Author3. Year of publication. Name of Publication (italicized). Location of publisher, state, or province postal code (or name of country if a foreign publisher): Publisher’s Name. Note: When there are only two authors or editors, add a comma after the name of the first author or editor (change in the 5th edition of the style guide). Edin, Kathryn, and Maria Kefalas. 2005. Promises I Can Keep: Why Poor Women Put Motherhood Before Marriage. Berkeley: University of California Press. Author1 (last name inverted), Author2 (including full surname, last name is not inverted), and Author3. Year of publication. “Title of Article.” Name of Publication (italicized) Volume Number(Issue Number):page numbers of article. Colen, Cynthia G. 2011. “Addressing Racial Disparities in Health Using Life Course Perspectives.” Du Bois Review 8(1):79-94. Coe, Deborah L., and James D. Davidson. 2011. “The Origins of Legacy Admissions: A Sociological Explanation.” Review of Religious Research 52(3):233-47. Note: These examples include the issue number after the volume number of the journal; issue numbers should be included in ASA citations to make the source easier to locate. If issue numbers are used, they should be used throughout the reference list. Chapters in Books or Other Collected Works. Author1 (last name inverted), Author2 (including full surname, last name is not inverted), and Author3. Year of publication. “Title of article.” Pp. (with page numbers, elided) in Name of Publication (italicized), edited by Editor1, Editor2, and Editor3 (use editors’ initials only for first/middle names, names not inverted). Location of publisher, state, or province postal code (or name of country if a foreign publisher): Publisher’s Name. Montez, Jennifer K., and Mark D. Hayward. 2011. “Early Life Conditions and Later Life Mortality.” Pp. 187-206 in International Handbook of Adult Mortality, edited by R. G. Rogers and E. Crimmins. New York: Springer Publishers. George Meany Memorial Archives, Legislature Reference Files, Box 6. March 18, 1970. File: 20. Memo, Conference with Gloster Current, Director of Organization, National Association for the Advancement of Colored People. Looking to cite another source type? Check out Section 4.3.2.2 in the ASA Style Guide: ‘Other Types of Reference Material’ for guidelines and examples on how to cite other types of documents. For instance; major reference books, dissertations and theses, unpublished papers magazine articles, book reviews and other peer-reviewed material, translations, government documents and presentations. You can read more about creating a reference list on Bucknell University’s website. It is a common mistake to leave your reference list until the very last minute, but Cite This For Me's ASA citation machine will accurately write your entire list in just a few minutes. Your reference list is then stored in the cloud, ready for you to access online and copy straight into your work. The publishing industry has continuously shifted and evolved in recent years, largely due to the emergence and integration of the internet and a diverse range of electronic resources. This has created new challenges for citation styles, and basic guidelines have now emerged in order to enable writers to document these new source types in their written work. The ASA style has based its guidelines for citing e-resources on The Chicago Manual of Style; find more information here. How do I Use a URL to Cite a Source? The URL (Uniform Resource Locator) is crucial for locating an online document. However, websites can be regularly modified, updated, redesigned, or even removed, so it is crucial that you follow these steps when including a URL in your ASA citations. Keep reading for a detailed list of examples that show you how best to cite electronic sources. Young, T. R. 1989. Crime and Social Justice: Theory and Policy for the 21st Century. Red Feather Institute. Retrieved June 22, 2010 (http://uwacadweb.uwyo.edu/Red_FEATHER/crime/001contents.html). Printed edition of a book accessed through an online library. Daniels, John. 2010. Apathetic College Students in America. Middletown, IL: University of Middletown Press. Retrieved April 6, 2011 (http://site.ebrary.com/lib/collegestudies/docDetail.action?docID=1010101010). Online periodicals available in print & online form. Scott, Lionel D., Jr., and Laura E. House. 2005. “Relationship of Distress and Perceived Control to Coping with Perceived Racial Discrimination among Black Youth.” Journal of Black Psychology 31(3):254-72. Journal articles (e-journals) with Digital Object Identifier (DOI). Persell, Caroline Hodges, Kathryn M. Pfeiffer, and Ali Syed. 2008. “How Sociological Leaders Teach: Some Key Principles.” Teaching Sociology 36(2):108-24. doi:10.1177/0092055X0803600202. Document retrieved from an institution with a known location. Citation: American Sociological Association. 2006. “Status Committees.” Washington, DC: American Sociological Association. Retrieved July 11, 2010 (http://www.asanet.org/about/committes.cfm). Document retrieved from a corporate website (unknown location). Citation: IBM. 2009. “2009 Annual Report.” Retrieved July 25, 2014 (http://www.ibm.com/annualreport/2009/2009_ibm_annual.pdf). Footnote: 1. American Sociological Association’s Facebook page, accessed June 6, 2014, http://www.facebook.com/AmericanSociologicalAssociation/posts/10154176262000165. Examples of how to cite a web log entry (also known as “blogs”), e-mail message, items in online databases, machine-readable data files and audiovisual materials (e.g., CD-ROM, DVD-ROM, podcast, PowerPoint presentation and sound recordings etc.) can be found in Section 5: Guidelines for Using Electronic Resources in the 5th edition of the ASA Style Guide. The ASA Style Guide outlines a rigorous set of rules for organizing and presenting content in manuscripts and articles. It is crucial that you adhere to the style requirements, so make sure that your work is formatted in line with what is expected or you could be penalized. *A Running Head is simply a shortened version of the work’s title (no more than 50 characters); this gives an idea of what your paper is about and helps to identify the pages of your paper so they are kept together. It should be titled ‘Running head’ and appear in uppercase letters at the top left of each page. Find further details on the presentation of tables, alongside some demonstrative examples, in 4.8.1 (p. 64) in the ASA Style Guide. More information on formatting graphs, charts, images and much more, can be found in Section 6: ‘Preparing and Submitting a Manuscript to an ASA Journal’ of the ASA Style Guide. This is a third-level head. Clearly and consistently presenting your work according to the style requirements will improve its readability and add to its overall professional finish. The American Sociological Association was founded in 1905 and remains to this day the main scholarly organization for academic sociologists in the United States. The nonprofit membership association is committed to supporting sociologists across the world and promoting their contribution to society. The association largely disseminates sociological knowledge through its scholarly publications. The official journals are the American Sociological Review (ASR), which publishes high quality original work from sociologists, and Contemporary Sociology (CS), which prints reviews and critical discussions about contemporary work. Without a unified citation and writing style, authors submitting to ASA publications were largely uninformed about style requirements. There was widespread confusion amongst authors as to what the style actually entailed; this largely stemmed from its similarities with both The Chicago Manual of Style and the American Psychological Association style. In 1991 it was agreed that these issues needed to be tackled by offering authors and editors a set of formal style rules that specified both writing style and formatting standards. The first American Sociological Association Style Guide was published in 1996, with the hope of aiding those authors preparing manuscripts for journals as well as those adopting the ASA citation style. The guide has evolved over the years to incorporate style revisions and guidelines for citing electronic sources. The extensive ASA Style Guide outlines the structure and format of in-text citations, footnotes and reference lists. For instance, the 3rd edition expanded the guidelines on citing electronic publication sources, as well as providing illustrative examples. The 4th edition covered updates on online manuscript submission and changes made to citation formatting. The latest edition of the guide, and the one on which this style sheet is based, is the 5th edition. This edition has been updated to provide further information on grammar and writing style requirements, revisions to citation formatting, and expanded details on citing new sources such as social media channels. The ASA Style Guide is the definitive point of reference for all those that are writing, submitting, and editing manuscripts for ASA journals. For more guidance, visit their online resource – click on ‘Research & Publications’ followed by ‘Journals’ in order to find helpful writing tips. Cite This For Me aims to empower students by elevating their research to the next level and educating them in how to avoid plagiarism. We know that citing can be time-consuming and confusing, but it can mean the difference between reaching your scholarly goals and damaging your reputation amongst other academics. (a) In publications, presentations, teaching, practice, and service, sociologists explicitly identify credit, and reference the author when they take data or material verbatim from another person’s written work, whether it is published, unpublished, or electronically available. Under the pressure of fast-approaching deadlines it is easy to slip up and inadvertently plagiarize your work; even something as small as leaving a citation out of your reference list, or including an incorrect publication date for a source, could affect your grade. It is unbelievably frustrating to miss out on valuable points because of something so simple yet so integral to academic success, so it is in your own interest to ensure you cite fully and accurately. Even if you are using our citation generator, it is important that you get to grips with the reasons why citing is essential as this will help you to naturally integrate the process into your work. Firstly, every time you use someone else’s words, data that someone else has collected, or even paraphrase another author’s ideas (regardless of whether it is published, unpublished, or available online), you must appropriately cite the source. The bottom line is, whenever information that you have used in your work has originated from somewhere else, it needs to be cited both in the text and in a reference list. The only exception to this rule is common knowledge – e.g. ‘Barack Obama is the President of the United States’. You can regard something as common knowledge if you are certain that your reader will already know it, for instance; a fact or an everyday phrase. Secondly, plagiarism is stealing. Researchers and writers must acknowledge their debts to their predecessors by carefully documenting each source they use in their work. If you are going to uphold your intellectual honesty, you’ll need to accurately signpost where you have drawn on someone else’s work. Attributing your research will serve to validate your own work by demonstrating that it is built upon a combination of appropriate academic reading and original thought. We have also created a checklist to use throughout your research and writing process. If you follow the style guidelines, and run any questions past your institution or publisher, it is unlikely that you will plagiarize. How do I Accurately Cite My Sources with Cite This For Me's Citation Machine? Does it constantly feel like an uphill struggle to get your citations finished on time? Remove the stress of citing by using Cite This For Me's state-of-the-art ASA citation machine. In the final moments before an important deadline, you can’t afford to waste time searching for page numbers or publication dates to complete your citations. Cite This For Me's citation management tool will transform the way you conduct your research. Sign up to Cite This For Me today to access this speedy and intuitive generator that will accurately format your citations in seconds. The generator will create your citation in two parts; an in-text citation and a full reference that is ready to be copied straight into your reference list. Use the web tool to add and edit citations, export full projects and individual references, utilize the add-ons, and save all of your citations in the cloud so they don’t get misplaced. Our handy browser extension lets you create and edit a citation for any online source (from articles and e-books, to YouTube videos and much more), without having to leave the web page you’re viewing. Join the refolution and exceed your academic potential by citing unlimited source types with Cite This For Me; from PDF reports and unpublished work, to podcasts, musical scores, and Instagram posts. American Sociological Association. 2014. American Sociological Association Style Guide. 5th ed. Washington, DC: American Sociological Association.